During my december vacation we visited Tampa, the city filled with beautiful beaches. 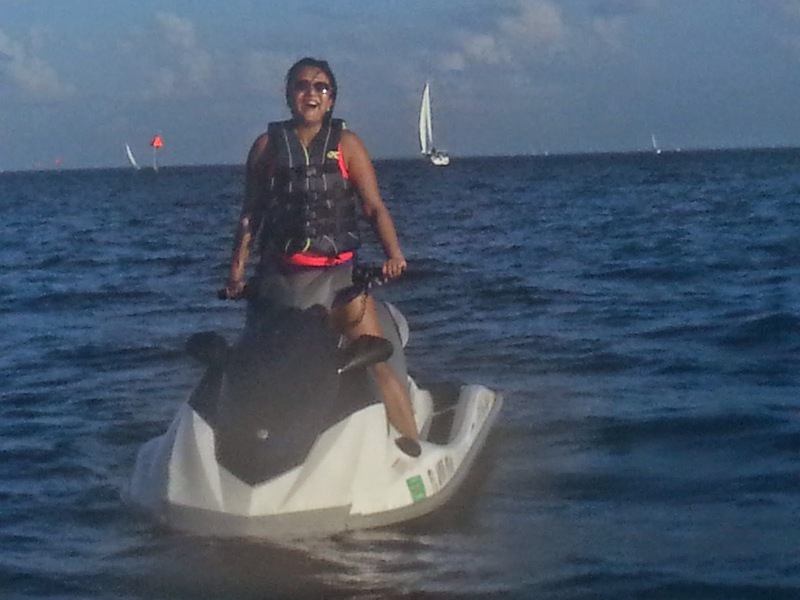 It was my first time to try riding a jet ski and I was totally excited. When I was listening to the instructions I became nervous because he told me its very windy today and the water is choppy so be careful. 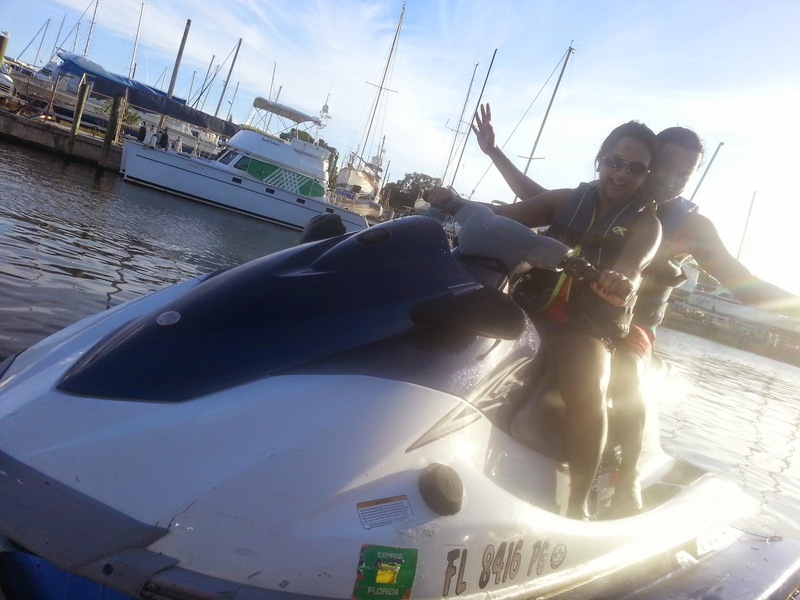 The first few minutes I really could not get the control of the jet ski. I thought of giving it up because it was not as easy as it looked. Mr. R gave me a angry shout and pushed me to ride it and started repeating the instructions. 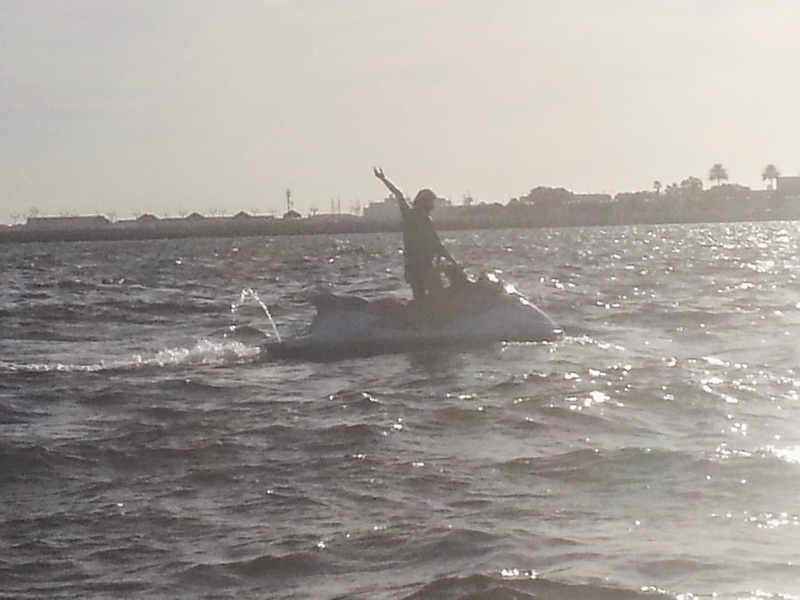 Once I got the grip of it, it was so much fun. 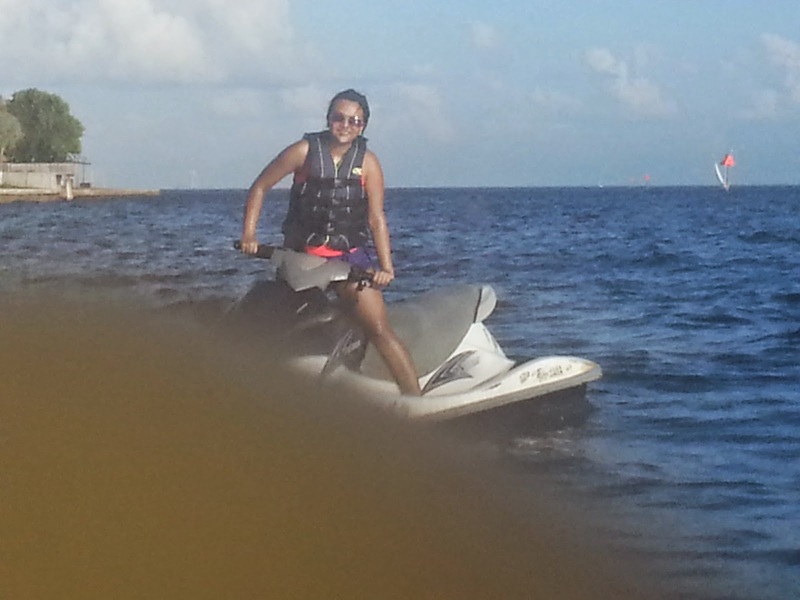 I enjoyed flying the jet ski against the waves. 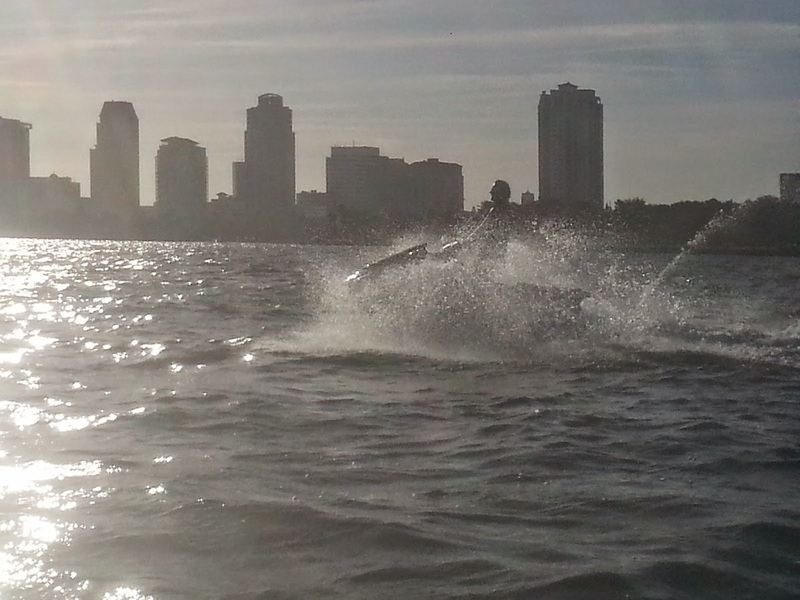 The speed gave me a high adrenaline rush. The endless stretch of blue water, waves reflecting the bright sun and the distance view of Tampa's downtown was a great sight. 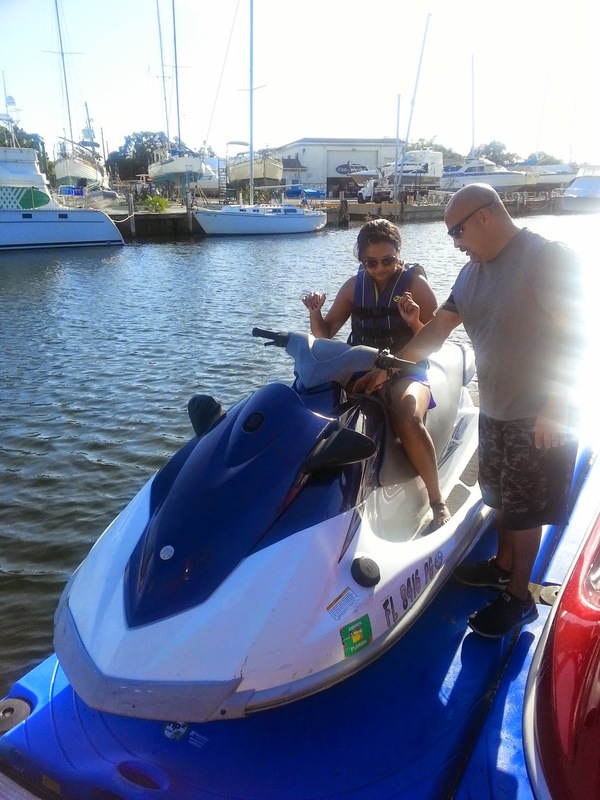 Now I am eagerly waiting for summer, cant wait to be on a jet ski again. Glad had a nice time. Thats a fun video.. nice one.. This has been on my list like forever and ever!! 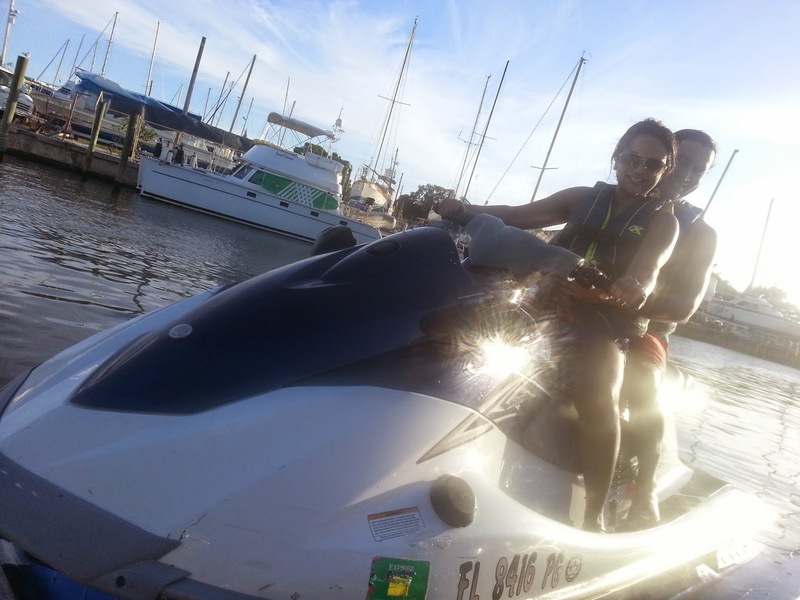 You seem to have a great day out there on the Jet ski ! Were you not scared? I'm terrified of water! 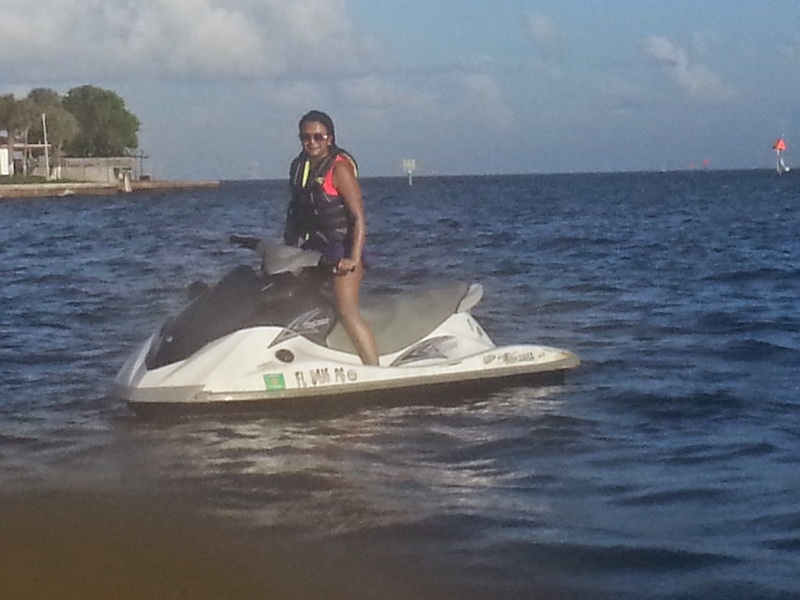 Nothing like jet skiing on a clear sunny day. Such a sense of freedom! 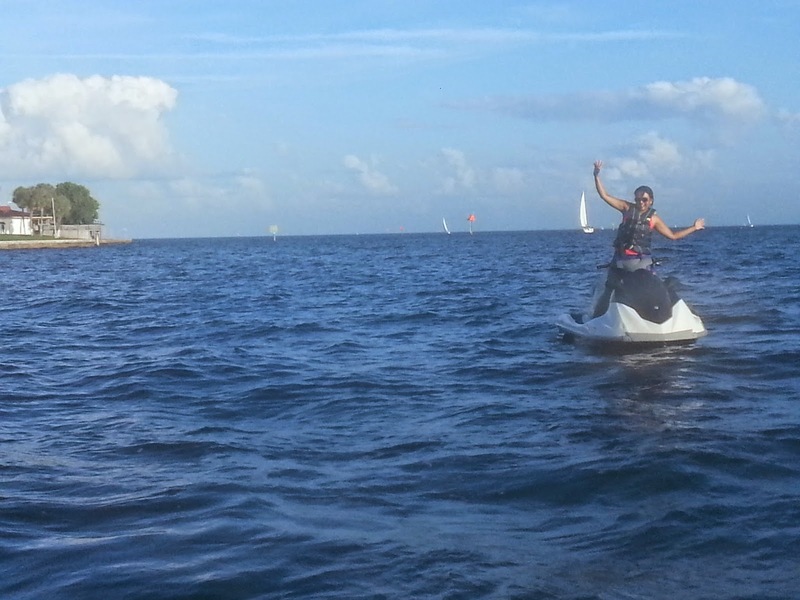 Looks like fun, but I don't think I'd be doing that at my age. Come to think of it I was probably too much of a scaredy-cat to ride one when I was younger. I can't swim too well either so I tend to avoid the water. But you have fun! awesome play your digital media on any device such as Kodi on PC your digital media on any device such as smartphones nice.